Spice up your customer invoices or statements - use the blank space at the bottom of your bill, the reverse side or around the edges to promote your company. provide a facility for your customers to let you know if their details change. Encourage your customers to respond immediately - include a FreePost™ envelope every time. FreePost™ is like a freephone number: you only pay when you receive responses in your New Zealand Post PO Box or Private Bag. Reinforce your brand and bring your envelopes to life with personalised stamps or envelope overprinting. We're really keen to hear your thoughts – comment and you’ll be in to win a $1000 Prezzy Card*. Don’t forget to enter your email address in the space provided, before you submit your comment. Thanks! *Terms and conditions apply. Competition closes 30 October 2009. If you’re thinking of exporting your products, do your homework first. Research the market – find out about the competition and if there’s demand for your product? Develop an export plan – to work through all the aspects of exporting and to help limit risk. Find out what you need – find out what paperwork you need, what duties apply and if you need a customs export entry – which typically applies if you’re shipping goods worth over $1,000. Think about distribution – how you are going to ship your products overseas – courier service, international post or freight? Get exchange rate advice – find out how fluctuations in exchange rates can affect profitability and pricing. Ask for help – ask the officials and ask other exporters for help and advice and collect as much information as possible, this could be the key to your success. 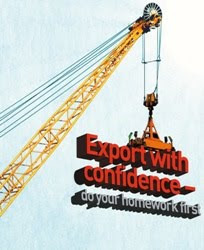 Share your export tips – comment and you’ll be in to win a $1000 Prezzy Card*. Don’t forget to enter your email address in the space provided, before you submit your comment. Thanks! 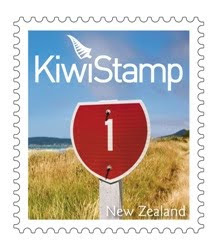 KiwiStamp has launched today and redline™ readers are amongst the first to be told. The KiwiStamp is an innovative non-denominated stamp with a can-do, Kiwi attitude. It gives your business financial security, ease and convenience as each stamp will always be worth the required postage of a Standard Post medium domestic letter. They are easy to understand and simple to use. For more information on how to use them have a look at our quick reference table – simple. Get yours today. Inspirational and entertaining, the KiwiStamp designs reflect distinct aspects of New Zealand life. We hope we have covered off any questions you might have. Let us know what your business thinks of the new stamp. If you comment before 30 October 2009 you’ll be in to win a $1000 Prezzy Card. Just don’t forget to enter your email address in the space provided, before you submit your comment. Some conditions apply. See here for full details. Did you know at New Zealand Post we have a dedicated Trade Me page on our website? It links to the tools that can help you decide how best to send your items. We think it’s time this page had a new look, so it gives you all the information you need and makes sending your items as easy as possible for your business. That way you can concentrate on your business and leave the sending to us. What content is relevant and useful? What information you need but couldn’t find. A link to our Google rate finder gadget, where you can select from some commonly sent items (CDs, DVDs, mobile phones, etc), to quickly get the rate estimates you need for your auction. A focus specifically on our parcel services, clearly explaining the benefits of each option. Making the path to purchase more direct, so you can order what you need online and get it delivered to your door. And if you comment before 30 October 2009 you’ll be in to win a $1000 Prezzy Card. Just don’t forget to enter your email address in the space provided, before you submit your comment. Some conditions apply. See here for full details. Thanks!